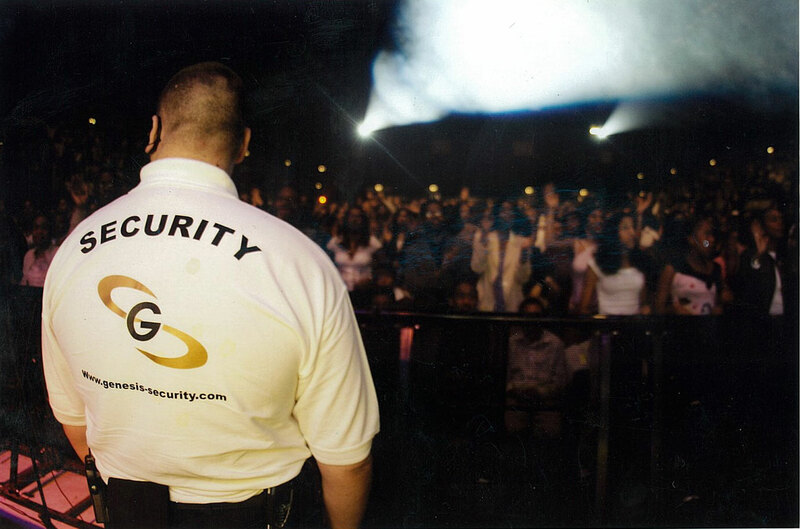 Genesis Executive Security Ltd provide Event Security and Stewarding services to a wide range of clients and venues across London and South East. We have provided services at some of London’s Largest and most Prestigious venues and events including Wembley Arena, O2 Academy Brixton and Notting Hill Carnival. We have also secured high profile Film Premieres, Press Nights and various outdoor events and festivals across London. Ask for our full client list. We have over 20 years experience in Event Security & Crowd Management and are familiar with the needs and requirements that all our clients and venue managers have. We work closely with them to ensure that all aspects of the event are managed meticulously by our highly qualified and experienced team. We also provide tailor-made services for our clients, so if what you require isn’t listed please do not hesitate to call us on 020 8653 9900 to see how Genesis Executive Security Ltd can meet and surpass your Event Security and Crowd Management needs. Our staff are highly trained and focused in ensuring the safety of the guests and safe running of the event. As well as this, our experienced management team offer a free consultation to ALL clients prior to any event ensuring that all aspects relating to security are addressed at the planning stage. Genesis Executive Security Ltd’s dedication to placing public safety at the forefront of all aspects of our planning is what differentiates us from our competitors. This dedication is the result of years of operational experience and exhaustive ongoing training. We work closely with the SIA on all aspects of our business and will continue to meet and surpass industry expectations through ongoing training & development for all employees. This will ensure that our clients have a highly trained, experienced member of our staff delivering outstanding service – thus ensuring that our clients remain satisfied with our service. The role of a steward is extremely important – especially when dealing large numbers of guests at a highly populated event. All Genesis Executive Security Ltd stewards are fully trained and can help facilitate crown movement, access control and, if the need occurred, emergency evacuation. We can also help in your access control or can provide stewards for car parks or at vacant sites. We also provide tailor-made services for our clients, so if what you require isn’t listed please do not hesitate to call us on 020 8653 9900 to see how Genesis Executive Security Ltd can meet and surpass your Stewarding and Crowd Management needs. SIA Licensed Door Supervisors – Securing Your Premesis – Your People.